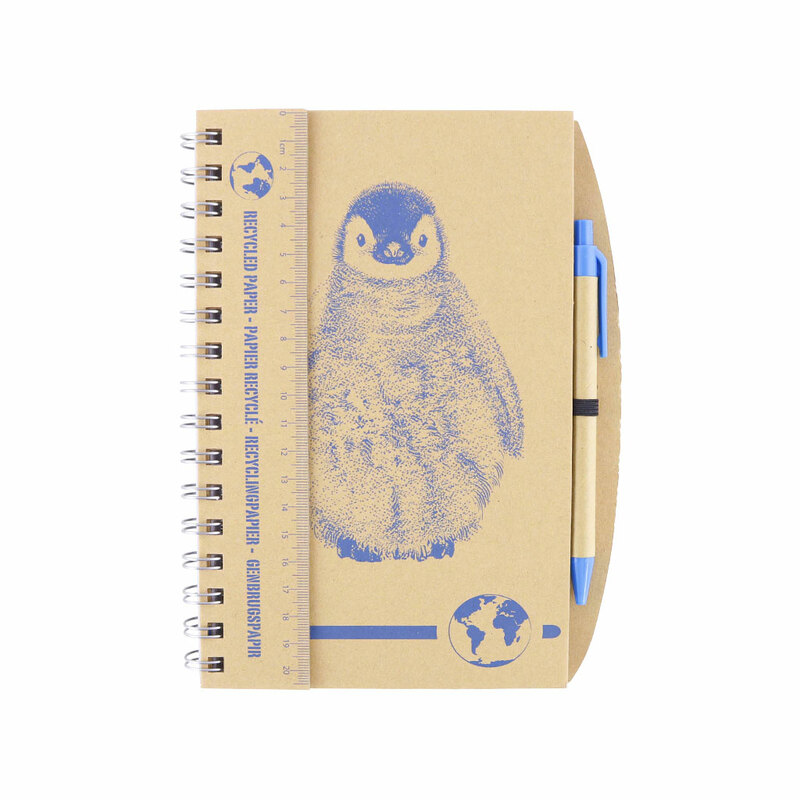 Our adorable penguin notebook and pen set is the perfect addition to your school equipment. The penguin notebook and pen set is made from 100% recycled paper. The notebook comes with a ruler and pen along with the super cute penguin chick graphic. The paper inside is lined, perfect for notes, homework reminders and wild stories.